If you are planning to buy a house, chances are that you wanted (or had to) have a home inspection done on the property you wanted to buy. 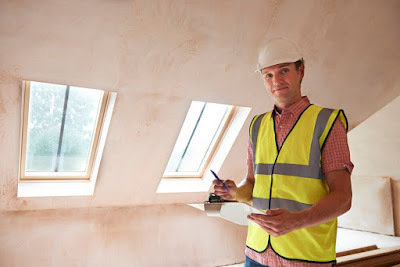 However, once a report from a professional inspection company such as The Inspectors Company, you may be shocked to see what exactly you get. Basically, it’s a big list of everything which is potentially wrong with the house as well as any concerns an inspector may have had. Reading this big file may be very tedious and not as informative as you may have thought, but there is actually a bit of skill involved in properly reading and interpreting the report. If you are just at the beginning of your house hunt, or you don’t have the time for a deep dive, make sure to go through the summary or the primary recommendations. This part of the report, well, sums up in short what you need to know about the house. However, this part of the report is going to be broad and unspecific, so you may find a notice saying ‘consult an electrician for some minor issues’. Without context, you can’t be sure what the report is talking about. It might be a broken porch light, or it might be something entirely different. So, if you are actually interested in the house, read on, familiarize yourself with the details. Chances are that every house you look at is going to have something wrong with it, it’s just the nature of things. However, not all of the repairs are equal. You may have a house with 20 small items which can be fixed in a day and cost you very little as opposed to a house with a single problem, but one which can be a persistent, chronic issue which may end up costing you a lot of money and patience. So, when looking at the house, make sure to take stock of the big issues first. Ask yourself whether you feel like it’s worth investing in and spending all the time and money to bring to order. Things like HVAC or the water heater are typically the most expensive and the most controversial issues when buying a house. However, problems with old roofs can be just as costly and potentially harder to detect. However, the most insidious problem a house can have is water damage to the foundation because it puts the whole house at risk. Make sure to pay attention to that part of the report well. Even though the seller may have had their house appraised, an inspection is a more detailed and realistic picture of the state of the house. If you want to learn more about how an appraisal is different than an inspection read this article https://theinspectorscompany.com/house-appraisal-vs-house-inspection-company/. Once you have seen the appraisal provided by the seller, make sure to compare it to the inspection your inspection company did and see if there are any major discrepancies. You can use these to bargain for a better price, or more importantly, to avoid buying a house with a hidden problem someone is trying to get rid of. The report will list every single issue the inspector has found problematic. There are some minor problems which may seem rather unimportant and easy to fix, but if there are to many of these, it can mean one of two things. Either the house wasn’t maintained too well in the past, which means that you might need to invest a lot of money to make it better, or the small issues are pointing to a larger underlying problem which hasn’t yet become apparent and may come back to haunt you. If you have a moment, talk to the inspector and ask them any potential questions you might have.